This week's second tour will be one that we saw previously on Flickr before the account was removed. For a little history here, this is a 1950s-era store, although it has been renovated and expanded many times. The latest expansion probably came in the mid 1990s, when the store was likely renovated to the decor package we saw in Elizabeth, NJ. 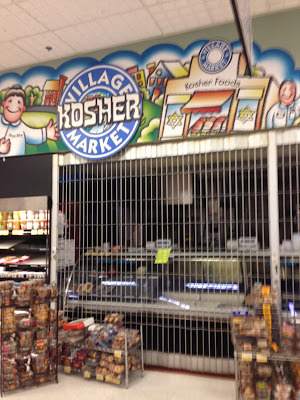 (The two stores share an owner, Village Super Market, which also owns West Orange, Garwood...and about 25 others!) Additional renovations came ca. 2005, bringing it up to date with the decor seen in West Orange and Garwood, the most attractive Village decor package in my opinion -- and the most iconically Village. When the nearby Kings Food Market renovated in 2012 and expanded their grand aisle, this ShopRite was redone once again, although leaving most of the decor intact. A Village Food Garden featuring a pizzeria, sushi bar, sandwich bar, fried chicken station, and diner counter were installed, as well as a remodeled café. Only the decor in the grand aisle was really redone, unfortunately, leaving it with a strange disconnect with the rest of the store. Minor renovations in 2017-18 more recently installed new decor storewide, and reconfigured the Village Food Garden, making it far more spacious but removing a few services. 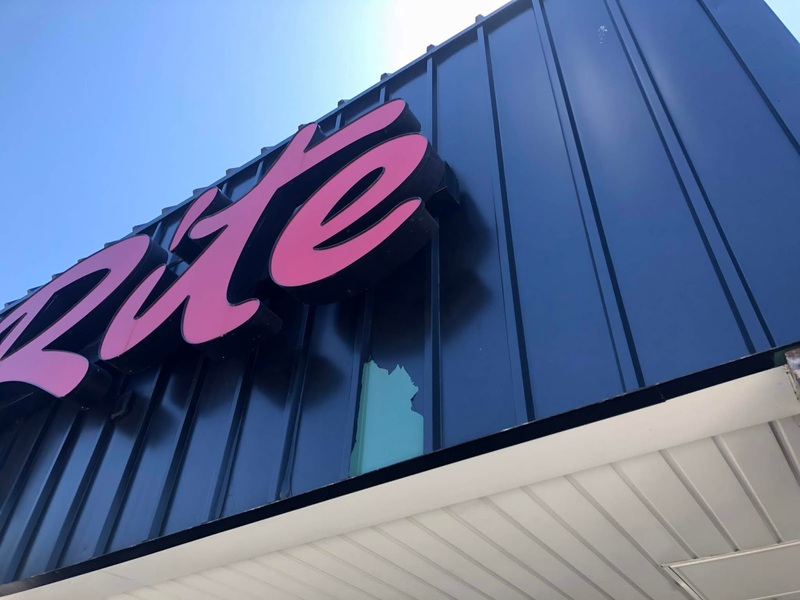 The outdated exterior design was replaced in 2017, first installing a new logo on the facade and then repainting the awning. I think the black paint across the whole awning is by far the best design they've used in this location yet, although I do think the green awning could have worked fine. Unfortunately, we're kind of still seeing the green paint job. Within a few months, the black paint had already started to peel. Not sure whether it's been fixed yet. Anyway, let's head inside. The grand aisle is quite impressive and consists of a large produce department with the Village Food Garden along the left side wall, and this is where most of the changes have taken place. Where the bread counter used to be has been replaced by a self-service bread shelf. Fancy breads are now in deli. Just next to bakery is prepared foods and the café. Cluttered prepared foods area with a seating area behind the display to the left. Prepared foods next to the pizza counter. Diner counter. Both of these counters have been removed. Spacious prepared foods area now! Also, the floor is really nice. Café is now open to the rest of the store with only a low case in front of it! The hanging lights are over the tables. Sub and salad counter has moved to the former diner space, with other prepared foods taking its former space. Beautiful fixtures to display all of the prepared foods. New cases featuring an expanded selection of cheeses at the deli. The cases also display store-baked breads on top. Additional cheese cases with more great signage printed on huge banners are just in front of the deli, which you can see to the far right in the above photo. Seafood is next to the deli counter. This decor, which I like a lot, is left over from the mid-2000s remodel. I have to imagine the service butcher was originally on the angle here, but a small butcher counter is now located just around the corner. Once you get out of the grand aisle, the store isn't honestly all that exciting. Milk, juice, and eggs in the back corner. Dairy lines the last aisle. There are two frozen aisles. The cases to the left used to be coffin cases, which is why they don't match the silver ones on the right. Pharmacy and a Kosher counter are in the front corner opposite the entrance. Again, older department signage here. Although I still like this decor, I do wish they'd used the same font for "Kosher" as they did for all the other departments. Simple and attractive, if a little cheap looking! Floral is immediately next to the Kosher counter. The floor has been refinished, although it still has not been replaced (three renovations after what it was intended for?). There's also much less clutter, and the virtually-new aisle markers have been replaced. I can only hope that the old aisle markers went to an older Village that hasn't been renovated. We see some really nice changes at the Livingston ShopRite (483 S Livingston Ave), bringing it for the first time in many years to a single, coherent decor package. I'm quite impressed also with their ability to reduce clutter overall significantly. 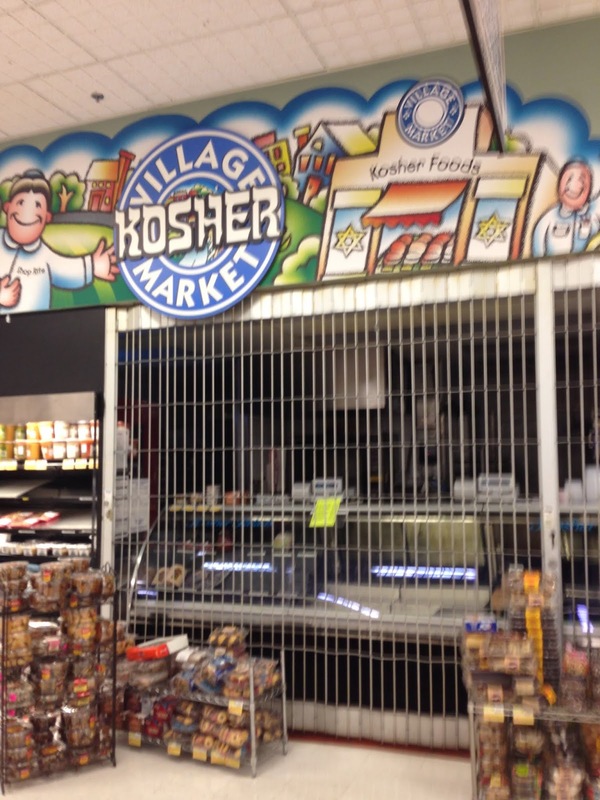 But why does Village still refuse to renovate their stores in Millburn, Elizabeth, and East Orange?